Thank you Luisa & (the) SG Companies! 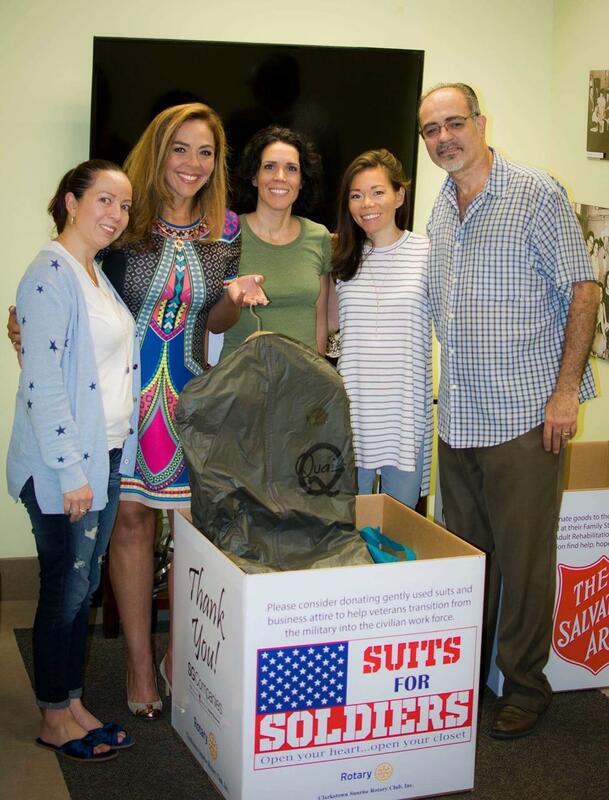 Our President's sister, Luisa Lee, collected a large number of suits in the "drop box" she created at her company (SG Companies) for our Suits for Soldiers collection! Thank you Luisa --- and thank you to all who donated! Even though our campaign has officially "ended", we will still accept donations. Message us here or email us (nick@nickconstantino.com) to make arrangements. Thank you!